We started in the Classroom. We got to see our last presentation, The Divemaster Course. We took the 5 part Dive Theory Exam. Oh joy again. I surprised myself and did really well. I scored nothing less than a 90 on any part. Yeah Me. We broke for lunch. 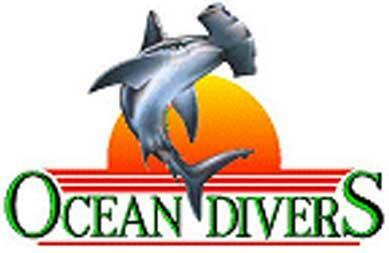 We came back and geared up and prepare to do the Oceandivers Key Largo Wall dive. (Dockside!!!) They have a platform right under the boats. It is made of metal grate and is cover with Jellyfish and silt. We descend and I tried to be very still on the bottom. I looked around and so about 5 plastic chairs and other products from the local Bar, Sharkey’s Pub & Galley Restaurant . This is a Potential Project Aware cleanup site for the future. I did my two skills, Partially and Fully Flooded Mask. When everyone was finished, we did some more rescue training. I feel very ready to present that skill thanks to Georgia! It was another great day of training. Tomorrow is the last day of the IDC and then the IE. Stay tuned for Tomorrow’s continuing adventures of the Oceandivers IDC.